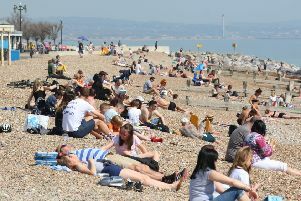 Tomorrow (Saturday March 7) is set to be the warmest day so far this year in Sussex. The Met Office forecast is for sunshine most of the day and temperatures rising to the mid teens. This means temperatures could be higher than in Istanbul and Corfu this weekend. The mild weather is heading in from the South West, which originated in the Caribbean area and across the Atlantic. Overnight temperatures will drop to around 3 to 5degC, though, so gardeners beware. The forecast for Sunday (March 8) is currently overcast but still mild. It is set to be a sunny, cold start on Monday, with wind and rain by evening.